MyTriathlon was created in 2008 in the early days of triathlon. Two friends who began training together at their local triathlon club went on to race a Sprint distance, followed by an Olympic distance, before finally completing an Ironman together and finishing a mere five minutes apart! Their journey took them to the committee of their local Triathlon Club in Manchester and onto the Boards of British Triathlon and Triathlon England, before they decided to launch the Tatton Park Triathlon. It was to become the third largest triathlon event in the UK, after London and Blenheim. MyTriathlon Retail was initially launched as an answer to an issue that we came across often whilst organising our own event: many entrants simply didn’t want to commit to buying a wetsuit. Especially those who believed that their first triathlon would be their last! Our sister company MyWetsuitHire now hires more swim wetsuits than any other hire company in the UK - providing 30 different wetsuits from the five most trusted triathlon brands – 2XU, Orca, Zone3, BlueSeventy and Huub. With the popularity of triathlons growing year on year, many first timers have obviously, like us, caught the 'triathlon bug’ and have embarked on their own Ironman journeys: a goal that seems so inconceivable to us all when we first stepped out into the world of triathlon. Start your own story with us today! In the early days of MyTriathlon, our triathlon events were all open water, and we noticed that our entrants struggled to hire a wetsuit for the day at a sensible cost. We launched www.mywetsuithire.co.uk soon after, and have grown quickly to become the largest UK supplier of hired, quality wetsuits. We offer a selection of hired wetsuits from the most trusted brands - 2XU, Huub, Orca, Zone3 and BlueSeventy. Launched in 2010, the team at My Triathlon have gained over 7 years of experience in the world of triathlon retail. We have adapted our business to suit our primary concern - the customer. My Triathlon is dedicated to triathletes, runners, swimmers and cyclists of all abilities. We take customer service very seriously and are available to offer you advice about your next purchase, or about your first Triathlon. One of our team completed his first triathlon swimming breaststroke without a wetsuit and riding a mountain bike. Two years later he completed his first Ironman in Germany. We therefore appreciate the needs of novice triathletes and open water swimmers and the changing requirements of triathletes as they progress through the different race distances. Whilst we are passionate about triathlon, our team also compete in running races, open water swims, enjoy the local gym and generally have fun! We mostly stock products that we like and would buy ourselves, or items that are already part of our own training kit! We have launched MyOpenWaterswim.co.uk at Pennington Flash close to the M6 which also hosts Ironman UK. Swim coaching and open water initiation sessions. 2XU A1, Race, Ignition and Ghst wetsuits to hire. 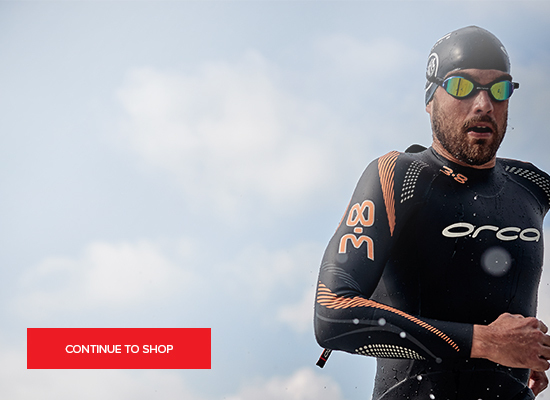 Zone 3 Vanquish, Aspire, Vision and Advance wetsuits. BlueSeventy Helix, Reaction, Fusion and Sprint. An option to try before you buy. Hot showers and changing facilities. Relatively warm water - the lake is not deep and warms up quickly! Visit us at our Open Water Swim and we can show you a range of products and answer any queries in person.